Do you want to be a part of the Sam Houston State Invaders? Sam Houston State Invaders are a local satellite in a citizen scientist program working together with other Invaders of Texas satellites to eradicate invasive species in Texas. Join T.I.S.I. and the Lady Bird Johnson Wildflower Center, February 28, 2015 for a citizen scientist workshop. To register visit http://www.texasinvasives.org/invaders/workshop_results.php and click sign up under Sam Houston State Invaders. 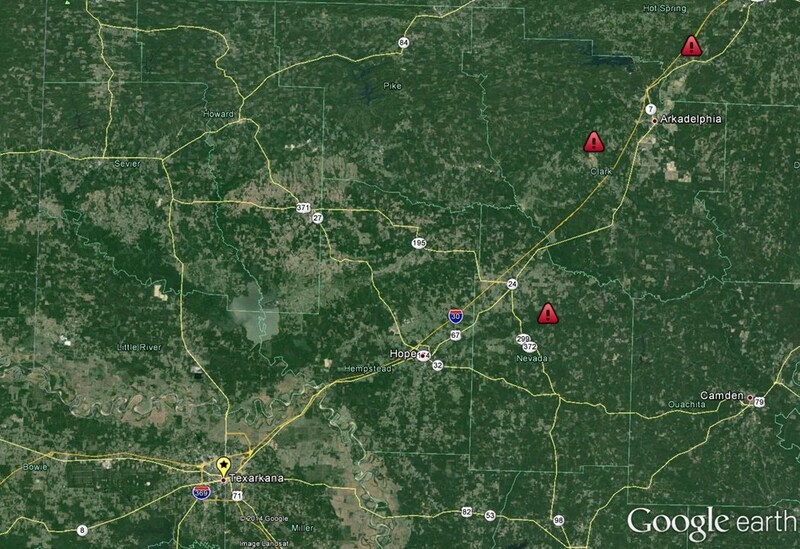 The 2014 Survery has shown the Emerald Ash Borer present in Six Arkansas Counties... It's getting very close to Texas. Is the EAB expanding to host plants? USDA/APHIS is performing surveys to find out, thanks to a Wright State University researcher! T.I.S.I. is now a North American Invasive Species Network (NAISN) Hub! TPWD confirms Lake Waco has Zebra Mussels! Huanglongbing has reached Harris County in Texas! Updates of White Nose Syndrom origins and new funding for WNS solutions! Fire Ant venom may have some benefits as a fungicide. Eradication of Invasive Plants can start in your own yard! Plant beautiful Native Plants instead! They're colorful, variable and can attract native butterflies and birds! Click here for Native Plants for any Texas climate. Courtesy of the LadyBird Johnson Wildflower Center. Check out the Native Plant Society of TX for more information. Then you can report them to us! What else is going on with TISI? Look under the Current EDRR tab to find out!